So what kind of performance increase are we looking at here? I didn’t seem much of a difference with the last version posted. Thanks. I am having more trouble with this one than I have in a long time. Can’t seem to get 2 GPUs to work smoothly running cuda. One just chills there. Does anyone know the proper command for 2 and an example line for reference? Thanks! 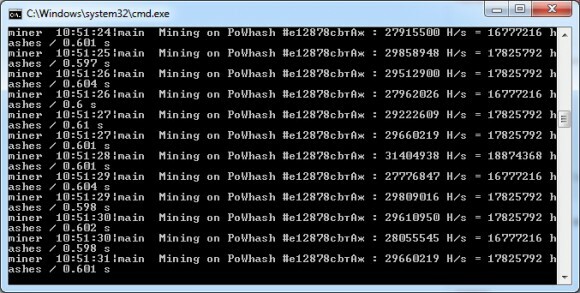 This update might be able to provide a bit higher and more stable hashrate, but not that much. For running with two video cards you need to add --cuda-devices 0 1 to the command line. I’m getting a problem when I either submit a solution or when there is a new block. All of this happens on ethereumpool.net (I don’t use the others), and it happens when I use the cpu mining (when I’m using the computer, 4 of 8 threads), or when I use the cuda mining. I’m not sure if this is a pool problem (notice the extra hash sigs), or if it’s this version of the miner. I have tried all of the cuda-schedule options, and get the same results, after new block or submission (failure I’m guessing), it goes to 0 hashes/sec. If you compile with CUDA 6.5, you will *NOT* get the added performance that is built into it for Maxwell. With CUDA 7.5, you can expect up to 5% added performance on GTX750Ti. hi, genoil, i am using 750ti to mining, please teach me how to using ethminer to mining, it’s is show something worry over here.